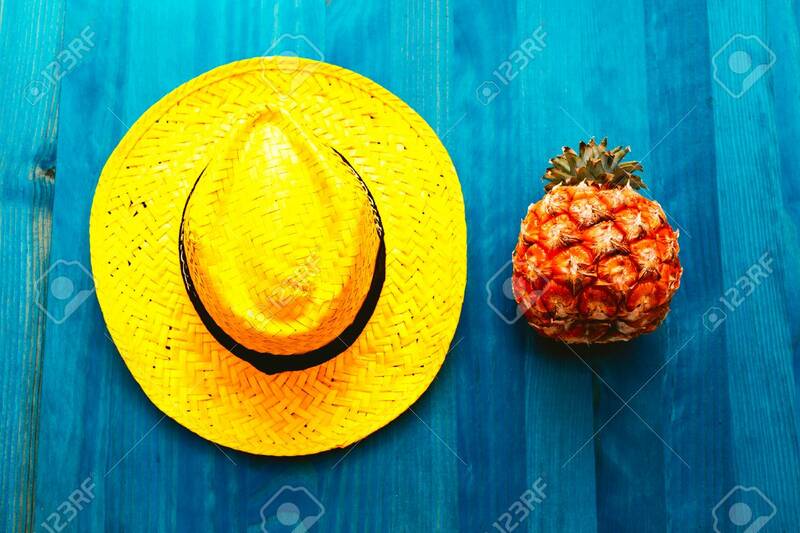 Pineapple And Straw Hat. Beach Cocktail. Tropical Minimal. Fresh.. Stock Photo, Picture And Royalty Free Image. Image 77223807.